For some people choosing a color palette is easy, you use your favorite color and work other colors in with it but not everyone has an easy time of it. Some people can get so intimidated by color and don’t even know what they like until someone else brings it up or you stumble upon it. Of course I will point out that this is where home stagers, decorators and designers come in. But for those who still don’t know or need an idea of where to start, here you go. Here is how to get started with those blank walls and way to neutral rooms. Formal Areas: Chosing a color palette for your living room, dining room and entry way are not only crutial but by far the easiest. They tend to dictate the rest of the house and need a lot of punch as your want them to be your impact rooms. Take something you really like and use it as your focal point. Typically artwork (paintings, tapestries…etc.) are best for this. Once you have your item pull some colors from it. Don’t be afraid of bold or wild you can use toned down versions for your more private spaces such as your master bedroom, den or home office. Pull from big printed pieces: Fabrics from your sofa, chair or even a rug will be another inspiration and a place to pull color from. 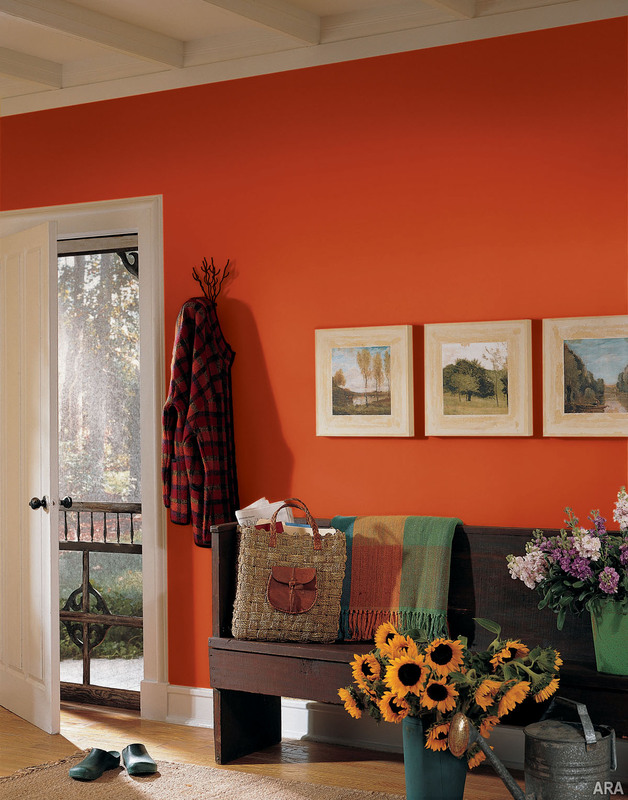 If you’re looking for a neutral paint color for the walls, look for the beiges and whites in the pattern. Look in your closet: This is mostly for those of you who love color but maybe aren’t sure where to start. Look in your closet if there is a particular color you see a lot of then you clearly wear it so why not decorate with it. Most closets will have a lot of whites, neutrals, blacks, browns and grays which is great but pay close attention to the other colors you seemingly love. Those colors will do great as your accent color. Start dark on the bottom and move up: Taking a que from nature dark color reside at our feet and get lighter as it reaches the sky. Use this method while decorating. 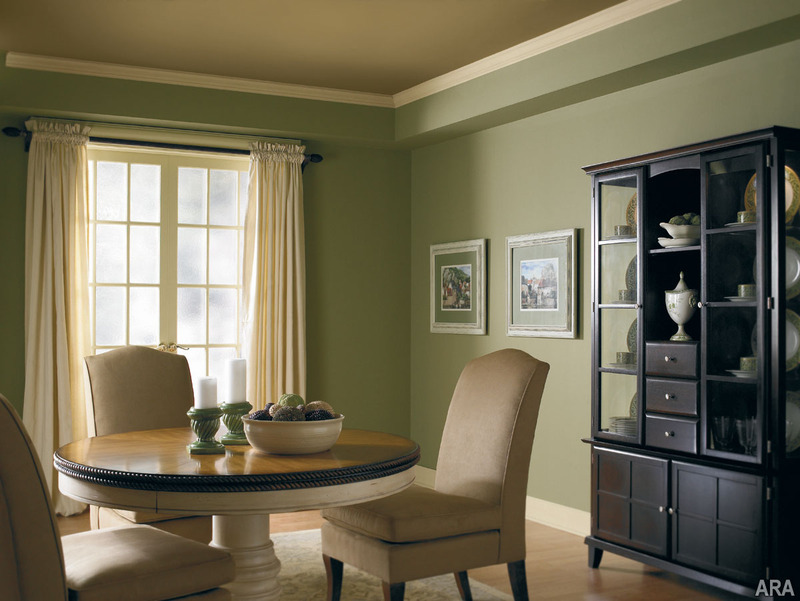 Start with a darker floor color, chose a medium color for paint and the lightest color for your ceiling. Color Wheel: (See my “Color Psychology” post) Blues and greens are more casual and relaxing and work best in informal or private spaces, keep it out of kitchens unless you plan on not cooking or eating. This is a good strategy for a bedroom, where you want to rest and recover. Complementary colors—those opposite each other on the wheel, such as red & green, blue & orange and yellow & purple —provide more definition and tend to make rooms more formal and exciting. This is a good plan for areas where you plan on entertaining. The two colors together help balance a room. Use the rule of 60-30-10: This is one of the best & most important rule to use when decorating a space. 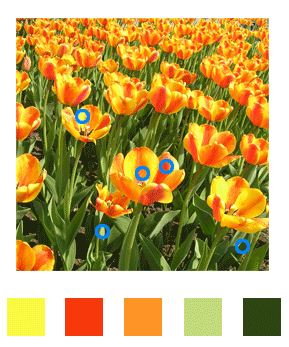 Divide the colors in the space into components of 60% of a dominant color, 30% of a secondary color and 10% will remain as an accent color. Typically your walls will be the 60%, your upholstery & furnishings would represent the 30% (secondary color) and lastly the 10% remaining would refer to your accessories (artwork, pillow fabrics, floral arrangements…etc. The colors are properly balanced and help in moving your eye comfortably through out the room and the accent color in there helps spark some interest. Go with the architecture: If you have a small room in your house, you don’t have paint it white just to make it appear larger. (See my “Optical Illusion with Paint ” post) Instead go with the architecture and paint it a rich, warm color to make it cozier. Let your big rooms expand with light, let your small rooms wrap you up and nurture you. Your own style: Whatever style or color you decide make sure your home reflects you. If you are a warm, bubbly person it will seem odd for you to live a stark modern style home. Not that you can’t be different but your home should reflect you. People like going to other people’s homes because it gives them more of an idea of what you are like. Don’t be afraid to show that.